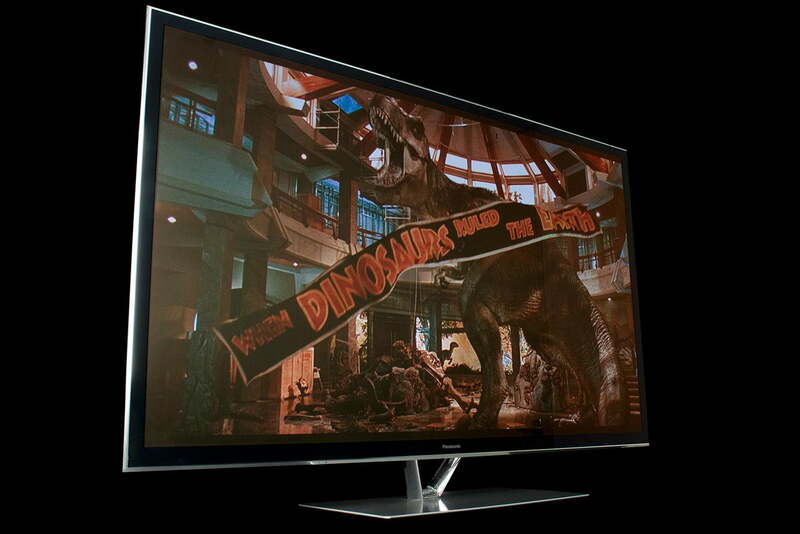 The ZT60 is the best TV Panasonic has ever made and possibly the best TV that has ever been made. Panasonic ZT60 Series information: This review is based on our hands-on experience with the 60-inch TC-P60ZT60 TV. However, our observations also apply to the 65-inch TC-P65ZT60. According to Panasonic, the two sets differ only in dimension and weight and offer identical features and performance. 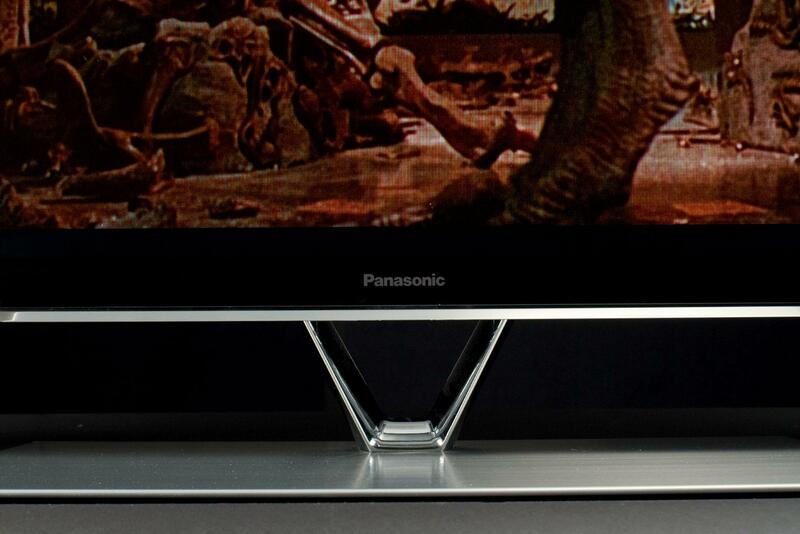 It’s safe to say that 2013 will go down as a banner year for Panasonic’s plasma televisions. In fact, thanks to Panasonic’s efforts and some serious competition from Samsung, plasma TV technology in general is getting a much-needed and well-deserved boost in consumer attention this year. Plasma has always been the superior technology where picture quality was concerned, but its hefty weight, bulk and inferior brightness have allowed LED TVs to grab the public’s attention as the sexier and (mistakenly) superior type of TV. But now the playing field has been leveled. These latest plasmas are thinner, lighter and brighter than ever before; and that tips the scales in plasma’s favor…big time. With our review of the excellent Samsung F8500 series plasma completed, it’s time to dig into the Panasonic VT60 and ZT60 series plasmas. We’ve long suspected it would be one of those three models that would walk away with our pick for best TV of the year, and now it’s time to see how Panasonic’s offerings will figure into the equation. First, however, we need to point out the fact that the ZT60 and VT60 series are remarkably similar. As such, you will find that our reviews of each will be…well, remarkably similar. We’ll do our best to point out the crucial differences in each review. Now, let’s dive into the good stuff. Both the ZT60 and VT60 are the most beautifully designed TV’s we’ve ever seen from Panasonic and, for our money, are the most beautiful plasma TV’s available this year. Purists will appreciate the ZT60’s sharp, clean lines, barely-visible chromed bezel and thin, acrylic trim. Unlike the VT60, the ZT60 doesn’t feature ultra-slim speakers running top-to-bottom along its left and right edges, nor is its top broken up by a retractable camera. In addition to its gorgeous panel, the ZT60 also boasts a stand that is as functional as it is beautiful. 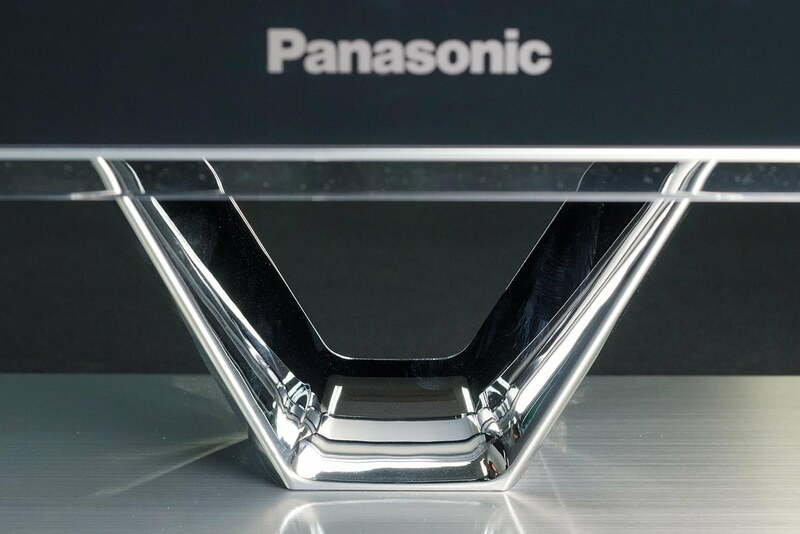 Made of solid, brushed metal, the 16.5-pound stand is one of the most rock solid we’ve seen. Though it isn’t as curvaceous as the Samsung F8500’s stand (nor does it swivel) we never worried about whether the 80-pound TV might tip over. 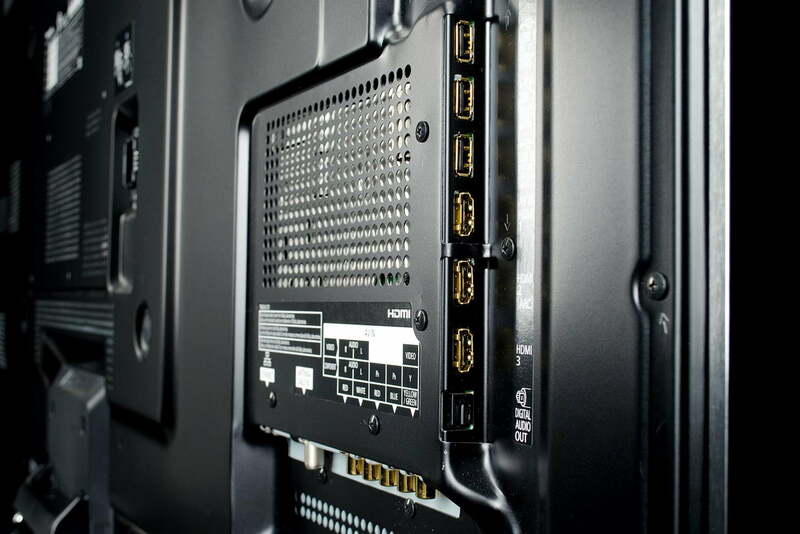 As we began setting the ZT60 up, we took special note of the gold-plated connections for HDMI (3), USB (3) and component video/analog (1) inputs. The TV also offers an Ethernet port, SD (SDXC) card slot and digital audio output (optical) jack. It even supports keyboards and other remote devices via Bluetooth. To be honest, we’d like to have seen at least one more HDMI port. 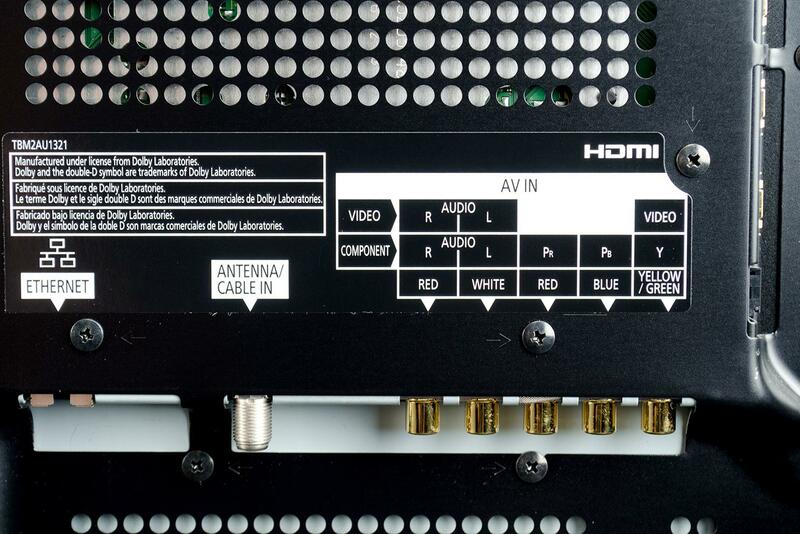 Even many people will use an A/V receiver to switch between sources, we know plenty more who can use every HDMI connection they can get. When you’re charging this much for a TV, what’s an extra HDMI port here and there?? If we were to go through all the features this TV offered, we’d be here all day. It’s just packed with them. But, there are a few notable tech-related and consumer-facing features worth taking special note of. In terms of picture quality, what makes the ZT60 unique is what Panasonic calls a “Studio Master Panel.” The panel is capable of tremendous black levels and brightness, but what makes it stand out from the VT60 series is its ability to better reject ambient light. Panasonic eliminates the air pocket that is normally found between the panel and its protective glass, and claims the result is better light transmission and reduced external light reflections. In theory, the ZT60 would look a little better than a VT60 in a room with lots of daylight pouring in – something we ended up testing for ourselves. Gush time: The ZT60’s picture quality is absolutely spectacular. The other picture-related tech worth mentioning is Panasonic’s development of an “improved” red phosphor. Panasonic claims it is more accurate than ever before. This should make color accuracy on the whole more accurate, and that’s never a bad thing. The ZT60 doesn’t offer a camera for facial recognition, Skype and other apps like the VT60 does, but it does come with a little Bluetooth remote which, among other things, allows voice commands. The remote will also let you swipe and click your way around the ZT60’s menus and manage simple operations such as changing the channel and adjusting the volume. Thankfully, that little Bluetooth remote is purely optional. Panasonic wisely includes a full-sized, fully-featured and – perhaps most importantly – fully backlit remote. Why this is a feature we still get surprised by is beyond us, but until everyone figures out that backlit remotes are an essential feature and not an optional one, we’ll be handing out extra big kudos to those that get it right. Panasonic also gets honorable mention for having drastically improved its Smart TV interface. We like that users can create their own customized home screens, with only the apps they want and those apps placed exactly where they want them. Naturally, this is a 3D-capable TV. In fact, THX certifies it as such. Panasonic tosses in just two pair of its active 3D glasses, though, so plan on buying more unless you’ll never share this TV’s awesome-ness with others. Finally, Panasonic does offer a remote app for iOS and Android devices. The remote will let you make basic adjustments to volume, channel, etc., but it also allows adjustments to some picture settings. Moreover, the app allows users to view media stored on an SD card (when inserted in the TV) on their mobile device for a sort of second-screen-ish experience. The remote app is also required for “swipe and share,” a feature that allows users to share media from their mobile devices to the TV (and vice versa) with the swipe of a finger. Turn it off! –The ZT60 has two (potentially three, depending on your preferences) annoying quirks that need to be dealt with before launching into any other adjustments. The first is the TV’s voice guide, and the second is the TV’s banner ads. We’ve tried to imagine situations in which a voice guide might be a good thing, but we’re coming up empty-handed. It could be argued that the visually impaired might make some use of it, but we think they would be just as annoyed with the voice prompting as we were once they learned that they would have to hear it after each and every press of nearly every button, including volume. Really, it’s terrible. Turn it off. The banner ads are a less-blatantly invasive feature, but they do get annoying after a time. Adjusting the volume need not pull up an ad for Comfort Inn Suites … or anything else for that matter. This just feels like a skeevy way to push advertising. Why Panasonic included it is beyond us, but it’s there so, again, turn it off. Picture settings – We have always maintained that the best possible TV calibration will come from an ISF-certified calibrator; and if you’re looking at purchasing a set as blue-blooded as the ZT60, that is something you should certainly consider. With that said, we’re prepared to go out on a limb here and say: There’s just not a whole lot of point in busting out your Spears and Munsil, Disney World of Wonder, or DVE calibration discs on this one. We know, we know. What we’re suggesting borders on blasphemous. But hear us out. Once you’ve tempered motion smoothing to a minimum (or off, if you prefer) and picked your 24p direct in setting (we went with 96Hz) you will find that the THX Cinema picture preset is about as good as you are going to get with only rudimentary tools. To get any better, you have to dig into the pro settings submenu, and we don’t recommend anyone who doesn’t know exactly what they’re doing attempt that. We’ll also add that we thought the THX “bright room” preset was the perfect daylight alternative. Between the two THX options, we think you’ll be completely satisfied. But, if you aren’t, go ahead and play around and let us know what you liked better. For the overwhelming majority of users, though, the THX preset is where it’s at with this TV. Gush time: The ZT60’s picture quality is absolutely spectacular. Like the Samsung F8500, it had us excited to turn it on every day; and we didn’t really care what was going to come on once we did. No matter what we watched, the ZT60 made the content look as awesome as it possibly could. And we’re not talking about the sort of fine details that only videophiles can appreciate, either. The ZT60 combined deep, rich blacks with vibrant and accurate colors to produce a picture that captivated everyone who happened by the TV. It’s superiority is plainly obvious. The ZT60 is a marvel in TV engineering and Panasonic deserves a huge pat on the back for producing such a quality product. While watching CBS’ new series, Under the Dome, family members kept remarking at how good the TV show looked compared to the last time we viewed it on an LED-backlit TV. Even the kids’ Disney Channel shows looked excellent, with natural skin tones set off by the overexposed colors that the channel’s productions are known for. Streaming services such as Netflix and Hulu often looked better than our cable-delivered content. 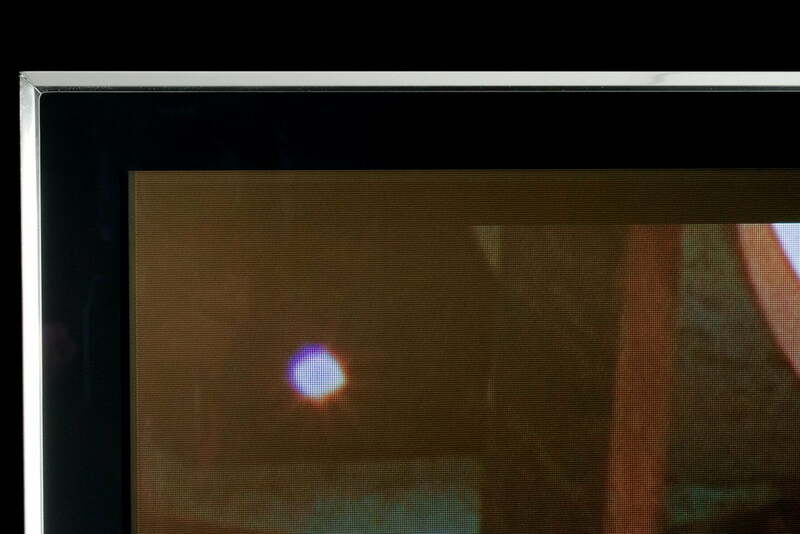 Using our Roku 2 as a source, we were able to view a few selections in Netflix’s Super HD format, and the resulting picture was as close to Blu-ray as we’ve ever seen from a non-Blu-ray source (with the possible exception of VUDU’s HDX offerings). Of course, Blu-ray content stole the show. Sony sent us a selection of movie titles from its “Mastered in 4K” collection, including The Amazing Spiderman and The Karate Kid; between the high-quality transfers of the titles and the VT60’s outstanding performance, we were treated to a cinematic experience with clarity that bests most commercial theaters we’ve visited. The Spiderman reboot is a particularly dark film, and one we’ve seen displayed with a commercial 4K projector. Though the content we watched was limited to 1080p resolution, the image quality bested the 4K experience we had, and not by a small margin. Black levels and shadow detail were simply incredible to witness, and the smooth gradation of colors made for a deeply immersive experience. But the ZT60 shone brightest when the sun was competing with it for our attention. Like the Samsung F8500, the ZT60 does a remarkable job of rejecting ambient light and preserving black levels. Though we weren’t able to measure, the Samsung F8500’s superior brightness is plain to see. However, in our daily usage scenarios where the TV was flanked by a long wall full of 15 x 8-foot windows with sun pouring in during the evening hours, the ZT60 was still able to produce an outstanding picture. The VT60, on the other hand, did not fare as well in brighter rooms. We will also add that we could see no difference between the ZT60 and VT60 when placed side-by-side in a darkened room. Be sure to check out our VT60 review for more details. As for 3D: Let’s just say 3D isn’t the ZT60’s strongest suit. We felt like the crosstalk we experienced exceeded that of the F8500, and though we find Panasonic’s 3D glasses perfectly comfortable, we found ourselves wanting to take them off. The ZT60’s 2D picture was just so exemplary that it seemed a shame to miss out on it by forcing ourselves to watch 3D. Just because you can doesn’t mean you should. The ZT60’s audio performance was acceptable, but nowhere near as impressive as the VT60’s. The ZT60’s lack of forward-firing speakers is its weak point, not because the sound was any less clear, but because it was far less balanced. Midrange intelligibility takes a hit, and the treble is artificially hot, giving it a crispy, overcooked sound that was difficult to tame without making things sound muddy. Bass response was respectable, but it was beefy enough that we felt like Panasonic was making up for shortcomings elsewhere in the audio spectrum. Once again, we find voice recognition to be more of a distraction than a useful feature. We were able to stump the voice recognition software on a routine basis, and we didn’t find the system’s search feature to be very useful. After a couple of tries, we gave up and never looked back. We’re going to reserve our final opinion on which is the best TV of the year for a separate post that more closely examines the differences between the Samsung F8500 and the Panasonic ZT60. But we will say that while you can do different, you can’t do better this year. The ZT60 is a marvel in TV engineering, and Panasonic deserves a huge pat on the back for producing such a quality product. We think time will prove the ZT60 to be a historic TV – one that we’ll be talking about years from now. And the most exciting thing is that, one day, the technology that makes this TV so amazing will begin to trickle down to models that more folks can afford. That brings up the issue of price. Yes, the ZT60 is expensive. At the time this article was written, the 60-inch model we tested is expected to sell for a suggested price of $3,500, and only through Magnolia outlets in Best Buy stores through the end of July. Once available elsewhere, we might see that price go down … a little … maybe. But the truth is performance of this caliber comes at a premium, and if you must have it this year, you’re going to spend more than $3,000. And maybe that’s not so bad for what might be the best TV ever made. Finally, let’s address the question of which is better: ZT60 or VT60? To answer, let’s look at the three key differences between the two. The ZT60 does better in rooms affected by sunlight, while the VT60 has superior sound and comes with a camera for Skype and facial recognition. Which is better for you will depend on your priorities, but for us, the ZT60 is worth the extra $500 or so. We can take or leave the camera, and while we appreciate the VT60’s superior on-board sound, we think most folks purchasing a TV at this level will have a supplementary sound system in place (and if they don’t, they are seriously selling themselves short). To us, getting the stellar performance these TV’s are capable of in any room of the house is a big bonus. So, the ZT60 gets the ribbon. The Nintendo Switch, which boasts both wired and handheld modes, needs a good case to ensure it doesn't get beat up while you're on the go. We scoured through dozens of Switch cases to bring you the best ones.